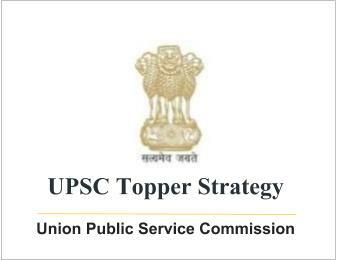 UPSC Topper Strategy for Public Administration (Advanced- Unit wise) by Prince Dhawan | IAS EXAM PORTAL - India's Largest Community for UPSC Exam Aspirants. Mohit Bhattacharya – New Horizons in Public Administration. There is no need to read all the books from cover to cover. Prepare topic wise in a comprehensive manner. Use examples, contemporary relevance, case studies etc. Read case studies from The Hindu, Frontline, Kurukshetra and Yojana. I must admit here that due to paucity of time, I personally could not refer to Kurukshetra but sometimes I did pick up selective issues and found them very useful. For those topics that were covered in the class, I first used to read my class notes and tried to understand them. Then, I used to refer to other sources for more details and clarity. For topics that were not covered in the class, I began by reading that topic from at least 2 different books and understanding the basics. Sometimes, I also read the printed material to supplement my knowledge. Then I made my own notes for these topics. Next, I tried to memorize all that I had studied so that I could recall the crucial points at the right time. I used to do this by reading my notes and underlined portions in the books again and again. Finally, to gain confidence, I used to write answers to as many questions as I could. This Chapter is very important. Read topics from class notes, Fadia and Fadia, and Mohit Bhattacharya. Also refer to IGNOU notes for this topic. The information from this topic can be used in answering questions of other units as well. This is a very scoring area. You must know the theories of various scholars very well. Try to go in as much detail as you can but do not go into unnecessary details. Writing some details (but not all details) gives a unique touch to your answers. Read from Prasad and Prasad. This is also a very scoring area. For this chapter, read from Sharma and Sadana. It is a very good source of information. I also found the printed material of my coaching class helpful. You may want to make your own notes though this depends from person to person. This is a relatively small chapter which can be studied from any standard book or from the printed material of any coaching class. Questions from this chapter are being asked lately as it is relevant in the current context. Apart from your class notes, you can go through Sharma and Sadana, printed material and Yojana and Kurukshetra articles. There is a lot of scope of innovation in this topic in the sense that you will often be able to correlate it to news items/editorials in the news papers and you will also find many case studies. If questions come from this area there is ample scope for you to give some unique points that may not be found in most of the answer scripts. For this Chapter, you can refer to Sharma and Sadana and newspapers. It is a very scoring area. Information may also be pooled in from Awasthi and Maheshwari and GS Polity notes. Just like for the previous Unit, if questions come from this area there is ample scope for you to give some unique points that may not be found in most of the answer scripts. For this topic, it is good to refer to class notes OR Ramesh Arora (no need to do both). Since the book is short, one can read the entire book and underline relevant portions. If you are able to get a grip over the content in this book or your class notes, you will be able to answer any question for CPA. This is a very important Chapter even though questions may not be asked every year but material from this chapter can be used in other topics too. Also, since many books were written in early 2000 or late 90s, you will have to make use of your knowledge from GS, newspapers and Yojana/Frontline/IJPA articles for this topic. You can rely on your class notes for this topic. The book by Mohit Bhattacharya titled- Social Theory & Development Administration is helpful. For this chapter, I read from two books- Sharma and Sadana and Fadia and Fadia. I also referred to the printed material. This is an important chapter since questions are being asked in the past 2-3 years from this area. Practice writing answers and correlate this chapter with the Civil Services Chapter of Paper-II. Study both these Chapters together comprehensively. Make sure to quote ARC recommendations and reports of other relevant committees as and when appropriate. For this chapter, IGNOU notes are a very good source apart from class notes. Questions are not asked regularly but students must focus on Policy Implementation and Policy Evaluation. Also keep an eye out in news papers and magazines for latest information in this topic. This is a small chapter and may be studied from printed material and Internet. There is a lot of scope of giving unique points in this chapter. This is a very important chapter and students must study it thoroughly. I referred class notes, printed material and Sharma and Sadana for this unit. Study this chapter along with Financial Management of Paper-II comprehensively as a single unit. While answering Indian Administration questions, answer with respect to Constitution, Preamble, etc and how the issue is in conformity with basic structure. This is a scoring area although there is little scope of uniqueness in this topic. It is given very well in Rajini Goyal and Arora. Rajini Goyal and Arora, class notes and D.D. Basu. Remember to always correlate answer in this topic with Constitution and current Parliamentary enactments. This is a topic that is best covered from IJPA articles and also from Laxmikant. Refer to your class notes, GS Polity notes, Rajini Goyal and Arora and newspapers. There is a lot of scope to innovate in this topic by quoting current practices of our Parliamentary system and comparing them with practices in other nations especially USA and UK. I could not find any good source for this Chapter so I relied on class notes and IJPA articles. Same sources and approach as Chapter-4. Refer to Rajini Goyal and Arora, IJPA articles and the book by Avasthi and Avasthi. Same sources and approach as Chapter-9 of Paper-I. Same sources and approach as Chapter-12 of Paper-I. For this chapter read the reports of various committees. If you are not able to read entire reports then read their summaries. Lay emphasis on understanding the overall picture of administrative reforms in our nation since Independence. Also, you must use information from this topic extensively in answers to other topics’ questions as well. For the above two Chapters, apart from class notes, I read Rajini Goyal and Arora. I also used a lot of information from newspapers and Yojana articles. In answers for these units, first always correlate with Constitutional articles, then give basic points and then cite case studies. For this Unit, apart from class notes, I read Avasthi and Avasthi. I also used information from newspapers and Frontline articles. There is a lot of room of innovation in this Chapter and students can give many unique points in their answers. Questions from this chapter are increasingly being asked recently. Unfortunately, I could not find any comprehensive source for this topic. I thus relied heavily on newspapers, Frontline/Yojana/IJPA articles and my GS Current Affairs notes. Answers in this chapter, if written well can fetch a lot of marks and there is a lot of scope of giving unique points by going into details of the setup of relevant institutions in India. For example, in Disaster Management, you can discuss the entire machinery at Central, State and District levels and details of relevant Acts.